Attorney Charles Grisi represents clients in significant asset divorce cases involving closely held corporations and professionals. He has also earned an excellent reputation as a plaintiff’s attorney, fighting for clients in personal injury and wrongful death cases. Mr. Grisi has been consistently selected to the Top 100 Trial Lawyers, Best Lawyers in America, and Ohio Super Lawyers, and he has achieved an AV Martindale-Hubbell rating of Preeminent Lawyers of Ohio. 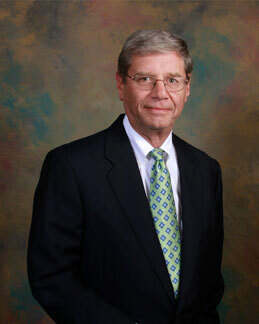 He was included in the 2007 and 2008 Best Lawyers in America. Mr. Grisi graduated from the University of Akron School of Law in 1970. He has served as a commissioner on the Board of Character and Fitness for the Supreme Court of Ohio, as Summit County Assistant Prosecutor, as past president of the Summit County Trial Lawyers Association and as a frequent lecturer at the University of Akron School of Law.